Sinn Féin’s Gerry Kelly has described the killings of two men in North and West Belfast in the early hours of Monday morning 12 March as, “thuggery”. Edward Burns and Joe Jones were found dead in the early hours of Monday while a third man Damien O’Neill admitted himself to the Royal Victoria Hospital with gunshot wounds. The full horror of what happened to the dead men has yet to be revealed however it is being reported that Burns was shot dead, execution style, by a shot gun blast to the back of the head. Joe Jones’s body was found in an entry off Elmfield Street in Ardoyne and it is being suggested that his killers beat him to death with either a spade or a hatchet. 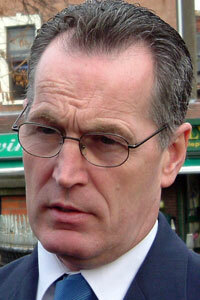 Burns’s body was discovered close to the Bog Meadows nature reserve in West Belfast a short time after O’Neill admitted himself to the Royal Hospital with gunshot wounds. He told the PSNI he had been shot near the Bog Meadows and in a follow up search Mr Burns’s body was uncovered. Addressing media speculation that the killings were connected to tensions within certain micro groups, North Belfast assembly member Gerry Kelly said: “if this has anything to do with an organisation then those involved need to question their existence. “These killings can only be described as thuggery. Here we have a situation where Irishmen are killing Irishmen for no reason. This has nothing to do with politics or republicanism. “We are left with two grieving families. Eight children are without a father. This needs to stop before it goes any further and I would call on communities throughout Belfast to help stop it”. In a further development Kelly blamed those involved in the killings on a number of shootings in the Ardoyne area in the past weeks. “Our communities don’t need, nor do they want this wanton violence. It has to stop”. Meanwhile the Sinn Féin President Gerry Adams has urged on anyone with information about the killings to pass that information to the PSNI.